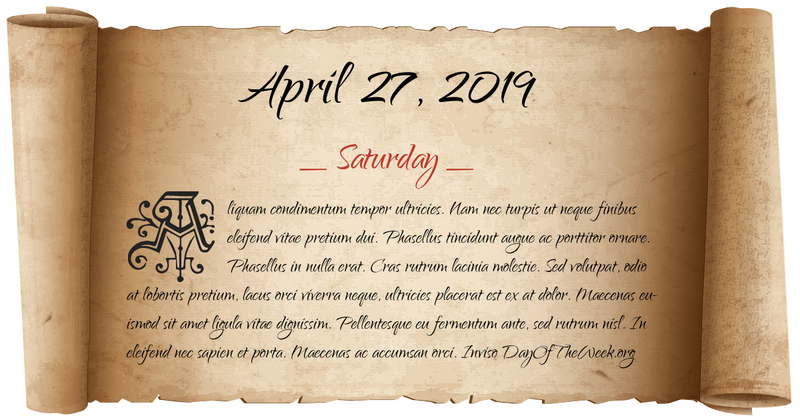 April 27, 2019 day of the week. Find out WHAT DAY OF THE WEEK is this date. Get full year 2019 calendar PLUS bonus info.